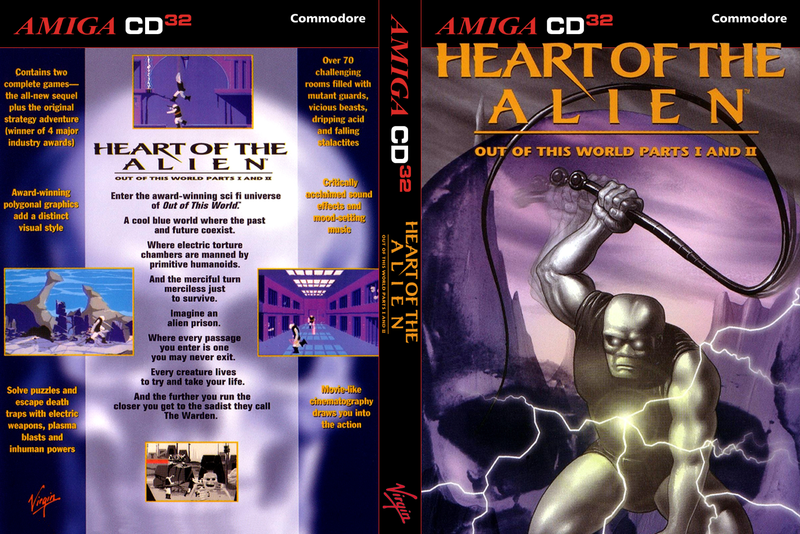 12th June 2017 - While Heart of the Alien for CD32 has been re-released without enhancements, there's now a WB friendly package that includes Another World/The Lost Level with WHDLoad slaves, and an HD installed Heart of the Alien - no CD music required. A long time coming! The legendary Another World mythos has finally made it's way to the CD32 in its entirety. The original classic, with one minor tweak - Press BLUE to open the level code screen. If you want to skip through the lengthy introduction, just use the code "EDJI" after the (cracked) copy protection sequence. An entire level that was added to later editions of the game has been back-ported to Amiga and included on this disc as a standalone entry. The largely unknown and forgotten sequel makes it's way to the Amiga due to the incredible and much appreciated efforts of D.J.M. Controls have been faithfully adapted from the Sega CD original. Special thanks to Cobe for tweaking some of the Heart of the Alien audio tracks, as well as squeezing "The Lost Level" on to the selection menu. 5th June 2017 - This one has been re-released more or less as it was, as there were no changes that I wanted to make. However, a zip version is included for HDD equipped Amigas. Thanks to anonymous for uploading the original file! 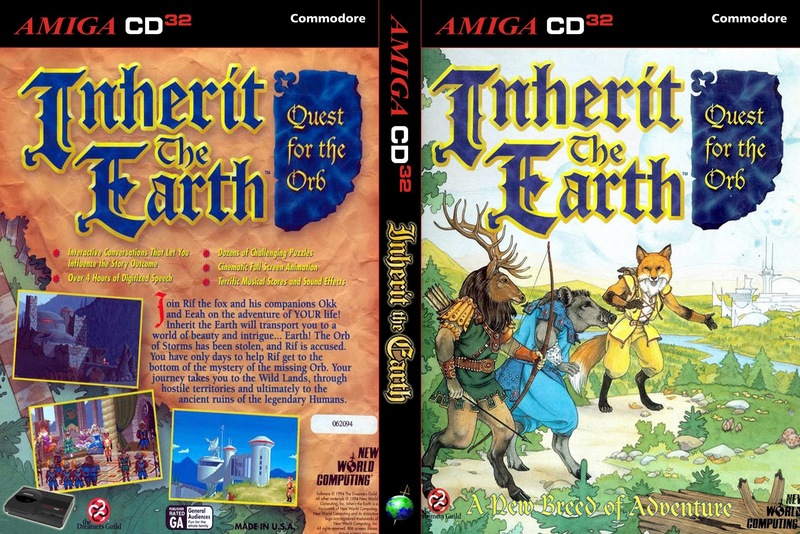 Something of a holy grail for us is the uncovered English language version of the adventure game "Inherit the Earth". This charming adventure game featuring furries anthropomorphic animals was already released for the Amiga in German but (to the best of our knowledge) the unreleased English version has never been on the Internet - until now. Signed with a trademark file so it will boot on a stock CD32. The "Bonus" folder from the German release is included, which includes: mod files, animations, CDXL videos, AGA and ECS demo versions of the German release. Manual PDF is also included in the Bonus folder (sourced from: http://adventure.klasyka.do.pl/files/inherit.pdf). Given that this is an unreleased beta version, I had to give it a full playthrough with walkthrough (on a real CD32) before publishing it here. I'm happy to say that this appears to be the complete game, all of the gameplay appears to be intact and it's all in English, both text and voices from start to end. There are some issues though - movement is often sluggish, the "use" command sometimes misfires (eg it attempts using the object on itself when you wanted to use it with something else on screen), and I had no less than two full crashes and one fatal bug (in all fairness this could just be because of misreads from my CD32 drive). Make sure you safe often! NVRAM saving is a feature, but you'll need around 83 blocks free (!) I'm afraid you might need to drop that Simon the Sorcerer save file. Mouse is not required, gamepad works just fine. Press Red+Blue to skip the length intro sequence (thanks to Cobe for working this out). There are also two executables on the disc for playing from an HD equipped Amiga, both an AGA and ECS version. However, given that the voices file is over 200mb you're either going to need a CD-ROM or a decent hard drive!